International calls mounted Wednesday to avoid a "massacre" by regime forces in Syria's last rebel-held province of Idlib, two days before a summit between key powers backing the government and opposition. 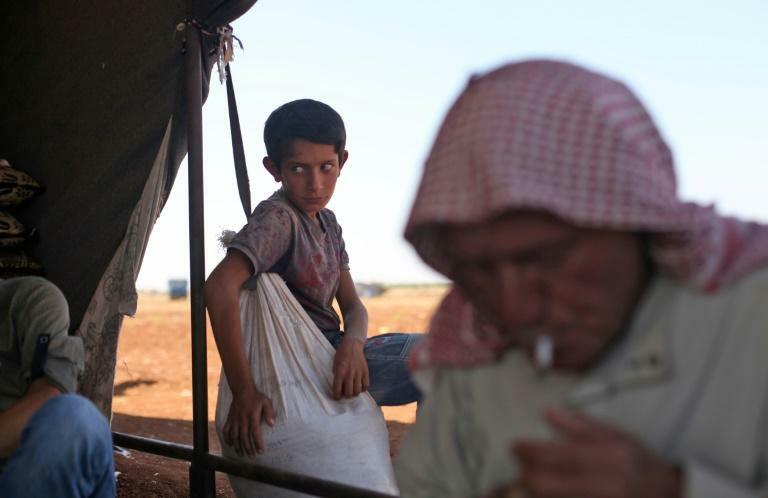 The United Nations says nearly three million people live in Idlib and global concern has risen in recent days over a threatened regime assault to oust rebels and jihadists from the northwestern province and surrounding areas. US President Donald Trump warned "the world is watching" as Syrian troops mass on the edges of the province that borders Turkey, raising fears of a humanitarian disaster. "That cannot be a slaughter. If it's a slaughter, the world is going to be very, very angry. And the United States is going to be very angry, too," Trump told reporters in the Oval Office as he met the emir of Kuwait. Turkey's President Recep Tayyip Erdogan urged Damascus against launching a battle to retake Idlib, the last major chunk of Syria still in opposition hands. "God forbid, a serious massacre could take place if there is a rain of missiles there," said Erdogan, whose country has supported Syrian rebels. He spoke two days before he is set to meet the presidents of regime backers Iran and Russia in Tehran to discuss the future of the province. On Tuesday, the UN peace envoy for Syria urged Erdogan and Russia's President Vladimir Putin to speak on the phone before Friday's summit. Staffan de Mistura called for efforts "to avoid that the last probably major battle of the Syrian territorial conflict... ends in a bloodbath". 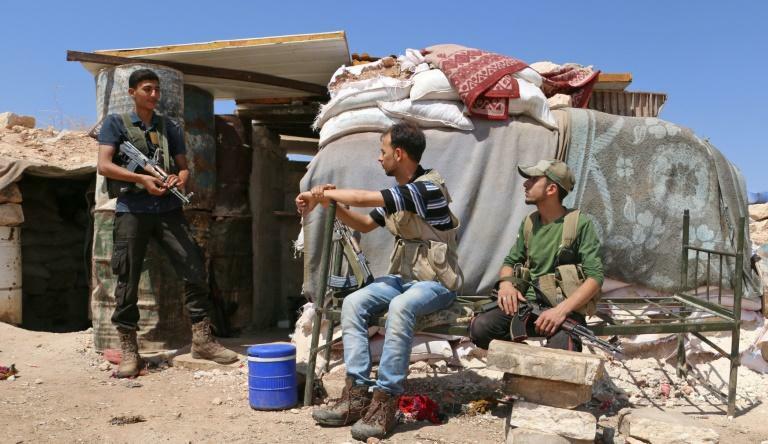 More than half of Idlib is controlled by jihadists from Syria's former Al-Qaeda affiliate, Hayat Tahrir al-Sham (HTS), while much of the rest is held by rebels backed by Turkey. The regime holds a small southeastern sliver. The United Nations and aid groups have warned a military campaign could spark one of the worst humanitarian catastrophes in a war that has already killed more than 350,000 people and displaced millions. 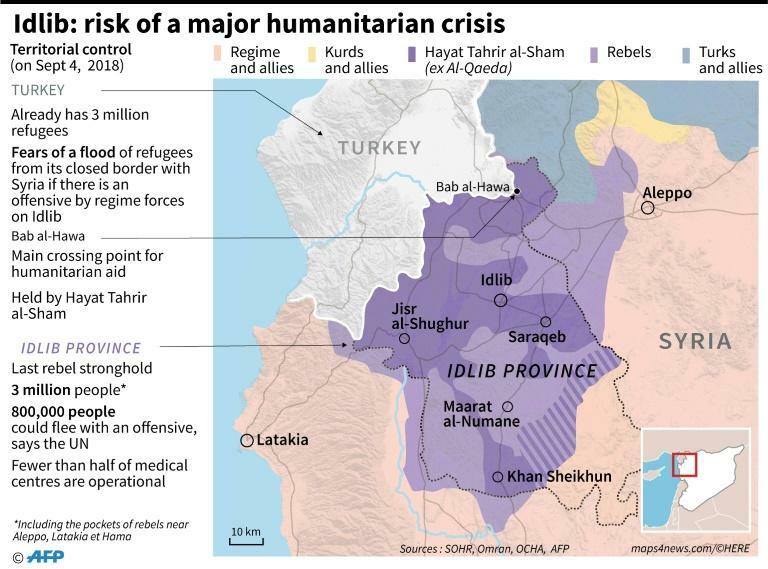 Many of those living in Idlib are rebels and civilians who were bussed out of their hometowns in other parts of the country that have come back under regime control. Turkey, Russia and Iran last year designated Idlib a so-called "de-escalation zone", but that deal did not cover former Al-Qaeda affiliate HTS. On Tuesday, Russian warplanes resumed air strikes on Idlib after a 22-day pause. Moscow said four of its jets "inflicted strikes by high-precision weapons" on targets belonging to HTS. President Bashar al-Assad's regime has retaken large swathes of the country from rebels and jihadists since Russia intervened militarily on its side in 2015. Moscow has accused armed groups in Idlib of sending weaponised drones to attack the Hmeimim airbase that it uses in the adjacent province of Latakia. On Wednesday, Putin's spokesman Dmitry Peskov said Idlib was the "subject of increased concern and worry" and the focus of a flurry of diplomacy. Just a day earlier, Peskov had slammed Idlib as a "pocket of terrorism". Friday's summit in Tehran between Erdogan, Putin and Iran's President Hassan Rouhani is expected to determine the scope and timing of any assault on Idlib. Russian presidential adviser Yuri Ushakov described the meeting as "very important". "The leaders will in particular focus on the situation in the Idlib de-escalation zone, where terrorist remnants are concentrated", he said, in particular referring to HTS. A UN Security Council meeting is also set to be held the same day to discuss Idlib, US ambassador Haley has said. She warned against the use of any chemical weapons in Idlib, after the White House pledged to "respond swiftly and appropriately" to any such attack. US defence chief Jim Mattis later dismissed reports fighters inside Idlib may hold such weapons. "We have zero intelligence that shows the opposition has any chemical capability," he told reporters on Wednesday. Samah Hadid of Amnesty International tweeted that "the lives of millions of people in Idlib, Syria are now in the hands of Russia, Turkey and Iran" which have the power to protect them. Since 2011, Assad's regime has repeatedly been accused of using chemical weapons, including this year in its battle to retake the former rebel bastion of Eastern Ghouta near Damascus. Rescue workers accused regime forces of killing more than 40 people with "poisonous chlorine gas" in the town of Douma in April. The United States, France and Britain carried out punitive strikes in response.